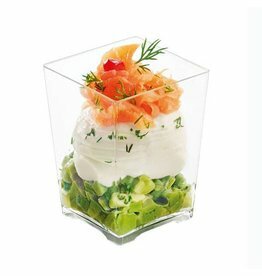 DD30320 Clear cube cups have a cube shape design that adds an exciting touch to any dessert, appetizer, dip and much more. 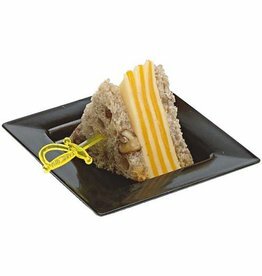 Perfect way to add a fun and modern touch to food displays. DD11104 These Cups are designed perfectly to fit into high profile restaurants, small country inns, mid-town bars and a variety of other food establishments. They make perfect vessels for yogurts, puddings, ice cream and so much more. 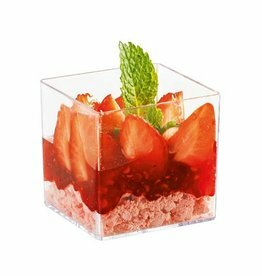 DD30330B These Incline Shot Glasses have a unique style that will add a cool touch to small sized layered desserts, appetizers and much more. You can even use these darling glasses to make your cocktails more fun and inventive. GS50200 These Copper Mini Forks are perfect to use with amuse bouche treats, mini appetizers or tiny desserts. 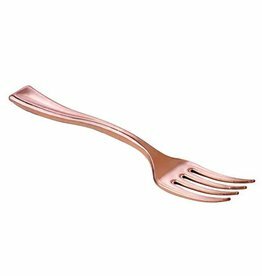 GS50200-S Plastic vessel - Mini Fork, Copper - 4" - These Copper Mini Forks are perfect to use with amuse bouche treats, mini appetizers or tiny desserts. 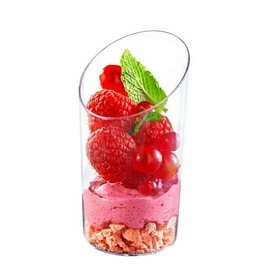 DD10802 These Mini Kita Cups will add a beautiful element to your restaurant, catering event and party tablescape and decor. DD30303 Sweet Flavor small plastic plate for appetizers and desserts. 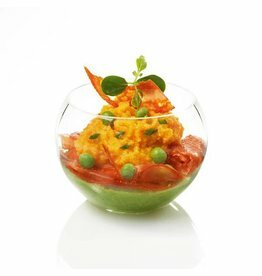 Disposable and recyclable our mini sample plates are often being used by caterers, hotels (for banquet), restaurants and for private parties. 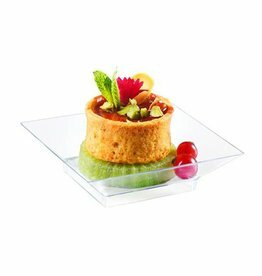 DD03200 Disposable and recyclable, these mini disposable square plates are perfect for appetizers, food samples and cocktail parties. CS50700 These Clear Mini Spoons are design in a unique and fashionable way so you can use them to add a lovely and special touch to mini desserts, appetizers and other small sized culinary treats. GS10100 These Mini Copper Spoons are perfect to use when you serve mini sized desserts, little appetizers or other small sized culinary treats. 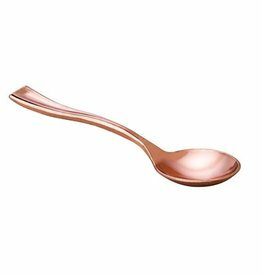 GS50100-S These Mini Copper Spoons are perfect to use when you serve mini sized desserts, little appetizers or other small sized culinary treats. 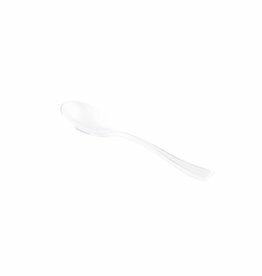 CS50900 Disposable and recyclable, Sweet Flavor mini silver disposable spoons are specially designed to match all of the disposable mini dishes collection. Sweet Flavor mini plastic spoons are the perfect catering accessory for desserts, coffee and more. 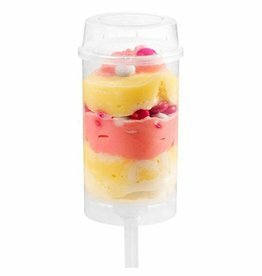 PU20000 These Push Pops with lids are used for creating beautiful ice cream push ups, push up cakes and cream desserts. 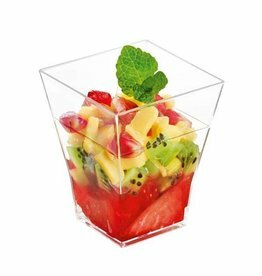 RWP0019G This big brother of our quadrato cup gives you extra room to showcase your ravishingly glorious desserts with a sleek, four-sided flair. 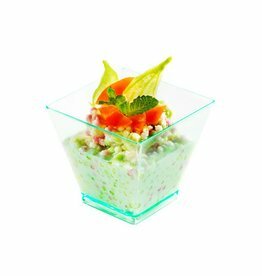 DD00001 These Clear Sphere Dishes have a unique and very classy shape and design, they make the perfect wedding receptions and anniversary party tableware.